Rob Lowe is headed to A&E. This week, the network announced they’ve ordered a new series with the Code Black star called The Lowe Files. The Lowe Files is expected to debut this summer. NEW YORK, NY – March 20, 2017- A&E Network has ordered the new nonfiction series “The Lowe Files” from Critical Content, it was announced today by Elaine Frontain Bryant, Executive Vice President and Head of Programming, A&E Network. 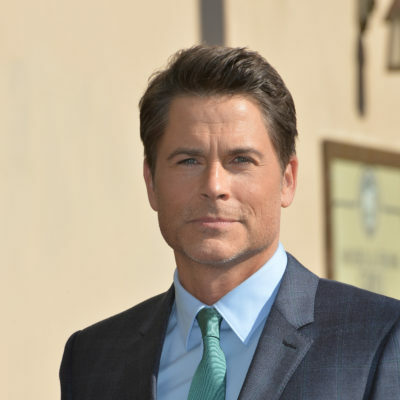 The nine episode series will follow Rob Lowe and his two sons, Matthew and John Owen, as they travel through the country to explore infamous unsolved mysteries, a curiosity that Rob has had since his early childhood days and has now been passed down to his boys. What do you think? Are you a fan of Rob Lowe? Would you watch The Lowe Files? More about: A&E TV shows: canceled or renewed?, The Lowe Files, The Lowe Files: canceled or renewed? Love the show. I hope it returns . I LOVED The Lowe Files!!!! Is it coming back for another season/ will there be more episodes? Or was it just a one and done? Truly and excellent show. I loved seeing Robs interaction with his kids. Please renew the Lowe Files. I absolutely loved it! I too wonder if we are alone or is there really Bigfoot or mermaids. It’s interesting and entertaining. I was a docent there. Nothing new. Anna was killed in the basement and wrapped in a rug and put in a kitchen closet. No evidence that she was killed in the delousing pool. I have been a big fan of Rob since his first appearance. Him being good looking is a plus. Yes big fan,since the Stand, Am looking forward to the show.